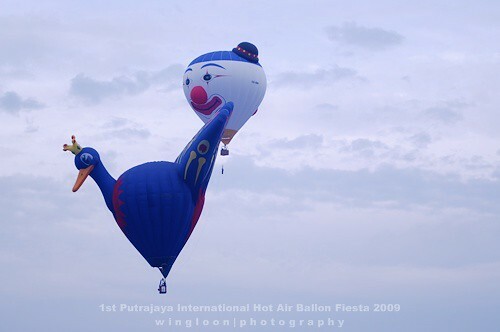 Went to 1st Putrajaya International Hot Air Balloon Fiesta 2009 with my daughter and wife yesterday. Arrived late at 8am and didn’t manage to get good photos. You can view more photos from my flickr link. Went to Bukit Cermin, Putra Heights, Subang Jaya for the mountain bike downhill challenge with EJ. As always, comments & critics are welcome to improve my photography skills. I would like to take this opportunity to thank UptimeHost, the Clustered Cloud Hosting for the 30-days trial hosting. From my observation, I don’t feel any difference in term of speed compare to my previous hosting provider, ServerFreak. Did you notice any? Also, I am getting 100% uptime from them. Thumbs up to them. However, I didn’t continue with the hosting with UptimeHost.com because of economy crisis and also the increase of US dollars. If you did see my blog on “maintenance mode” or you encountered “404 – Not Found” page, this might be the DNS propagation has not been completely propagated and also I am facing an issue on lighttpd WordPress permalink. In fact, this issue has been fixed as of you are reading this post. Again, I would like to apologize to all my sponsors and readers for the downtime during the migration. Went to Le Tour de Langkawi 2009 @ KL Criterium yesterday with Mel and his friends. As always, comments & critics are welcome to improve my photography skills. The experience on taking photos yesterday was totally different from Stage 1 and it was awesome especially the cyclist falled down in photos #3 & #4 because I am standing in front of him while he felt down. 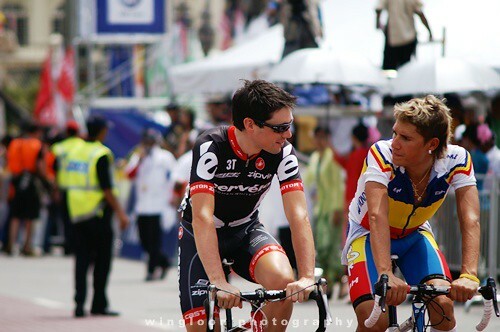 Lastly, I am looking forward to Le Tour de Langkawi 2010. See you there. …hmm, my blog had been hosted with ServerFreak for 1 year plus if I remember correctly. Til yesterday, I have not faced any single downtime from ServerFreak and I can say that I am getting 100% uptime from ServerFreak which is phenomenal service to me. Been looking around for other hosting provider to try out the service. If you ask me why not host my blog in VPS, I can tell you that I have a VPS and the uptime is as good as ServerFreak but the VPS is not from ServerFreak. Finally, I decided to choose to host my blog in a Clustered Cloud Hosting from UptimeHost.com. Indeed, I am looking forward to purchase a web hosting service from UptimeHost.com, the Clustered Cloud Hosting. Then, I quickly contact the UptimeHost.com sales to signup the service and I found out that signing up a service with UptimeHost.com is by invitation only. However, this doesn’t stop me. I emailed UptimeHost.com and I got a replied from Kaumil Patel, the co-founder who offered me two accounts with a 30-days trial service with UptimeHost.com and these two accounts goes to IPVEE.com and WINGLOON.com respectively. Please note that if you did see my blog on maintenance mode 11 hours ago, that might be the DNS propagation has not been completely propagated. Please be patient if you still facing the DNS propagation issue because it usually takes minimum 24 hours. At last, my blog is hosted in a Clustered Cloud Hosting from UptimeHost.com as you are reading this post.